All too often these days it would seem that I have to start a motoring story with a political angle. And the reason for this is that we don’t truly understand how badly politics affects the motor industry in South Africa. Just the other day we were told that the projection for the total number of new cars sold will be down this year compared to last year. In May alone, the industry is predicting a massive 10% drop in sales due to the uncertainty around the elections. And then we still have to hope that the elections go well, are seen as free and fair, and the results are accepted by all. There is no way to sugar coat this, but can you imagine if the losing parties and their supporters don’t get everything they have been promised by their leaders due to their hunger to entice voters into their party, and go on the rampage. The financial damage to our country and its citizens will be huge. Add to this the debacle that is Eskom and it’s not just the billions of rands that have gone missing and continue to be plundered on a daily basis. What do you think happens when the power goes down? Dealers and banks, etc can’t trade as they should and they lose valuable sales time bringing the new car numbers down and, along with it, the viability of the dealers to remain open. Many of you will think that it is rather ironic that, within this climate I have just described, where our government can’t even guarantee us they can keep the lights on, that the next few weeks will be all about fully electric cars that are either in SA already, or on the way. Just in case you have forgotten where we are, this is only in three years’ time. BMW already has the i3 and Nissan the Leaf and next week I will be driving the new all-electric Jaguar I-Pace. You can try and dismiss electrically-powered vehicles, but the world is charging into the future. 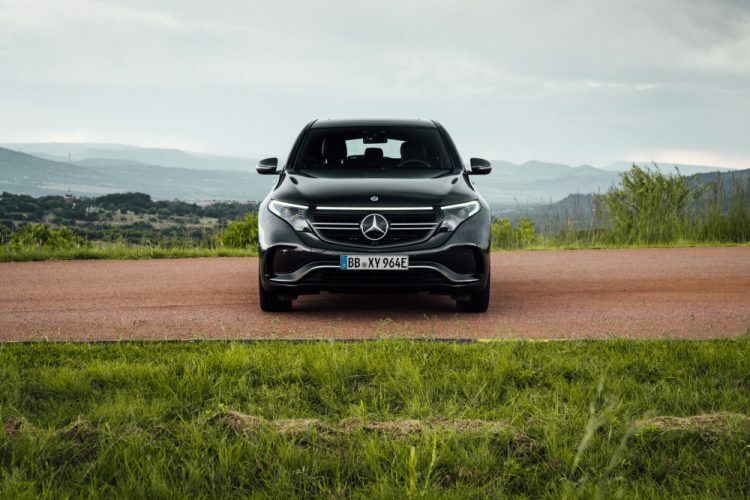 Last week I got the chance to see and ride shotgun in MercedesBenz’s EQC fully electric SUV, that will hit SA before the end of the year. Following successful winter trials, the EQC has been doing some summer heat testing and just happened to be at the Gerotek testing facility, west of Pretoria. The ride was exceptionally quiet and smooth, while being properly brisk thanks to the instant torque of the two electric motors, one up front and one in the rear. 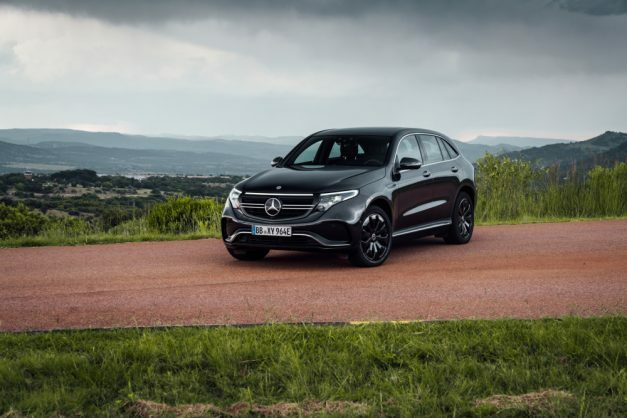 Handling was as good as you could expect from a 2.4-ton SUV running Mercedes-Benz’s tried and tested 4MATIC system. Now, before you dismiss electricity as being for sissies, the EQC produces 300kW of power and a mad 765Nm of instant torque. 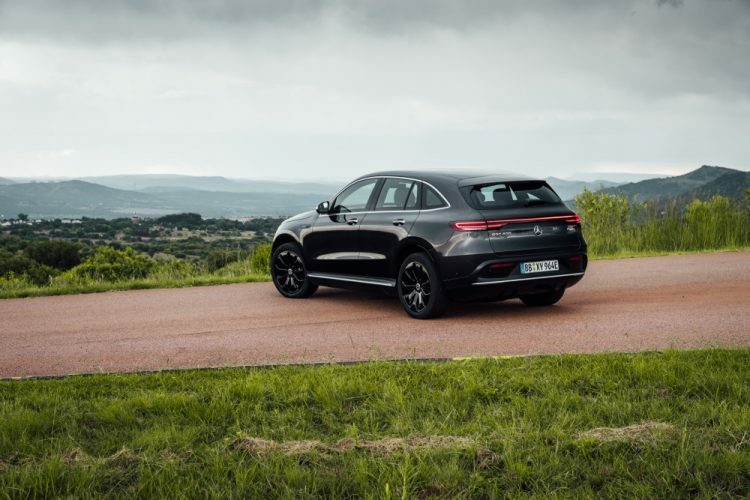 This is claimed to get the SUV to 100km/h in a mere 5.1 seconds while the top speed is electronically limited to 180km/h, with a range of around 400km on a single charge. So why do they come to Gerotek and the heat of Africa? They do it so particular attention can be given to aspects which are very demanding for electric cars such as air conditioning and charging, as well as cooling the battery, drive system and control units in extreme heat. Other criteria such as driving dynamics and ride comfort are also subjected to stringent tests. 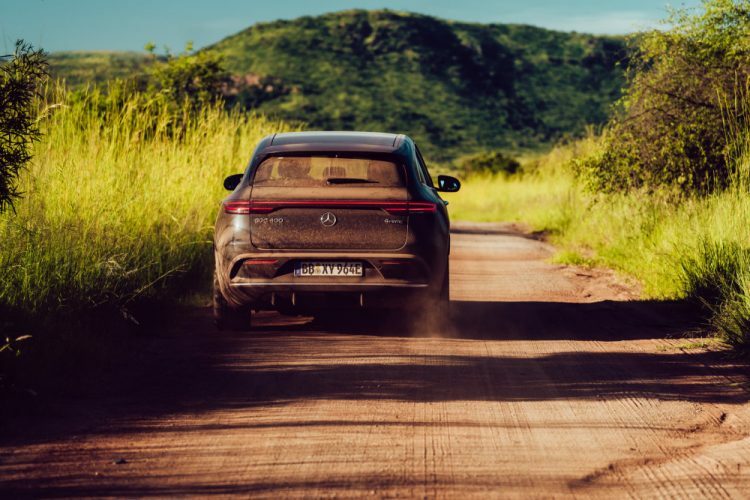 The first challenge for the all-electric vehicle is the dry heat. While the battery of an electric car loses power in the cold, exposure to great heat carries the risk of permanent battery damage. And optimal management of these physical characteristics was the main aim of the extreme heat tests in Pretoria West. One key focus was on the battery’s cooling circuit, for example: how does it cope with high power requirements? How does an almost fully charged battery respond to further charging? What influence does the heat have on operating range? Test drives in which the battery is drained of power were also part of the test programme. Furthermore, the noise characteristics of individual components such as the air conditioning compressor in the heat were also examined. Fine dust was also a particular challenge during the trials, as the test technicians investigated where this dust might be deposited in the components, and whether the sealing concept works in practice. The EQC has also undergone extensive testing in Germany, Finland, Sweden, Spain, Italy, Dubai, the US and China for complete customer peace of mind. 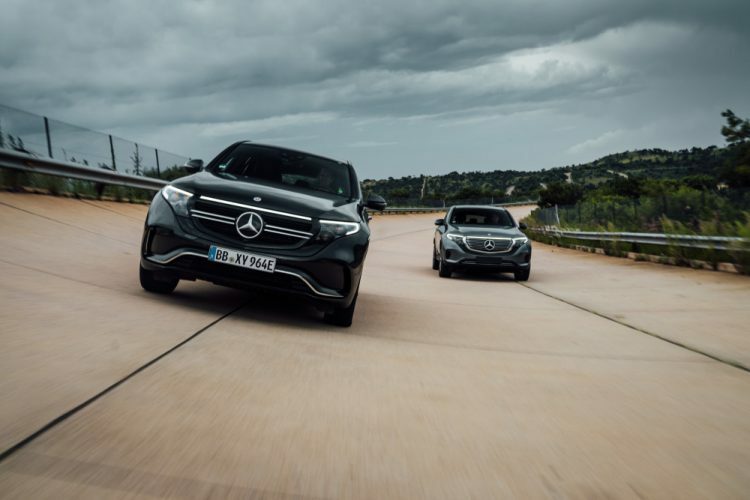 Systematic complete-vehicle validation is among the extensive measures in the development process of every Mercedes-Benz model series, and you can be assured this is no different for the likes of the EQC. Hopefully Eskom has the ability to supply this ‘fuel’. You can’t stop progress. Embrace it – it is coming whether you like it or not.